Typically, the test goes like this: a team of researchers drops a wallet on the sidewalk. Then, they watch to see what people will do. Do they take the money? Do they look to return it? Or, do they simply ignore it? Readers digest did the test a few years ago in cities all around the world. Most honest? Helsinki, Finland, where 11 of the 12 wallets they dropped were eventually returned. If you want to know who was least honest, the story is here. Over the weekend, I had my own version of the lost wallet test. Except it wasn’t a wallet it was a #10 can with a $100 water filter in it. And the test wasn’t entirely on purpose. I took a group of boys hiking in the area of Utah’s Rocky Mountains called the High Unitas. The Unitas are located about 40 miles east of Salt Lake City. The landscape is beautiful. High mountain lakes and Alpine forests. This is one of the two hiking campouts we do each year. We start from the Crystal Lake trailhead. 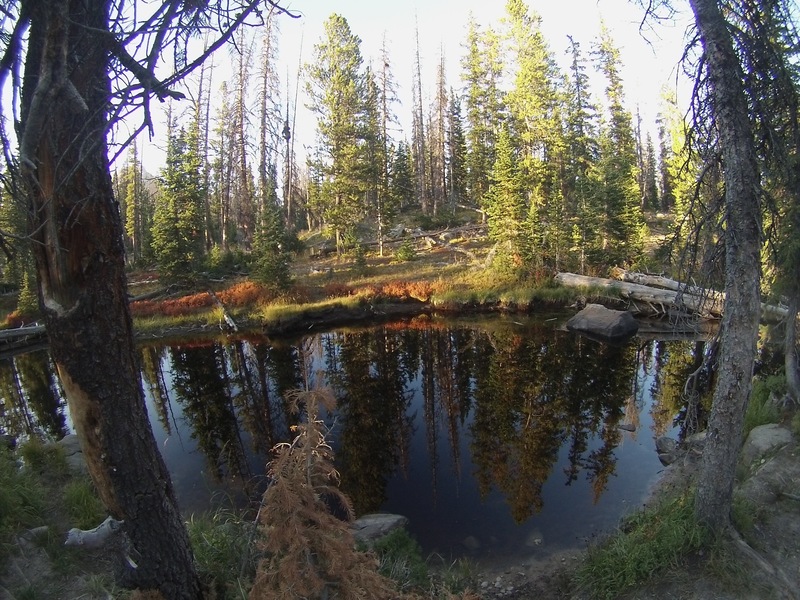 Then, we do a two mile hike to Long Lake where we camp. It’s a moderately difficult hike, but many of our boys are recently turned 12 years old. It’s a challenge for them. The number one concern on any Utah camping trip is water. Even though we were camping next to a lake, we still had to be very conscious of how much water we had. A gallon of water weighs 8 lbs. That’s not too much if you are carrying it from the car to the garage, but it becomes very important when you are thinking about walking for 2 miles at 10,000 feet elevation. A backpack should be between 25%-33% of the hiker’s body weight. Many of our scouts weigh less than 100 lbs. That puts their pack -weight goal at 25 to 33 lbs. They need to bring sleeping bags, pads, food, tent, and any other gear and make it fit in less than 33 lbs. A gallon of water would be almost a quarter of their total weight allowance. And that’s where I had a problem on Friday. I had the water filter. And I put it in a #10 can for three reasons. First it make it very accessible. Second, I had to bring the can anyway to boil water in. Finally, I could have boys take turns carrying the extra weight. The can had green paracord strung through two holes as a handle. On our hike, I had the boys take turns carrying the can. Toward the end of the hike, as they became tired, it fell to me to carry it the rest of the way. We arrived at our campsite about 30 minutes before sundown. Although the boys were tired, we immediately set them to work setting up tents. It’s a lot more fun to set up a tent in daylight then in darkness. As the boys got their tents set up, they moved on to dinner preparation. Dinner consisted of freeze dried meals. “Cooking” was a matter of boiling water and adding it in. Rodney, the boys drank all their water during the hike. Do you have the water filter? Sure. It’s right. . .Uh oh. I think I left it back up the trail. I think we have enough for dinner. We can get go back for it in the morning. I was a little worried. It was a pretty expensive filter. And in an environment where water=life, it was even more valuable. But, then I looked around the lake. We were one of three groups camping around the shore. There were probably less than a dozen people in an area of 50 square miles. I could wait. The following morning I was up before the sun. I’ve always been a morning person. There is nothing quite like a sunrise over a ridge line in a quiet mountain meadow. I didn’t immediately head back up the trail. I could see fish jumping and I’d carried up a fishing pole. I devoted an hour to drowning worms and being outsmarted by the trout. 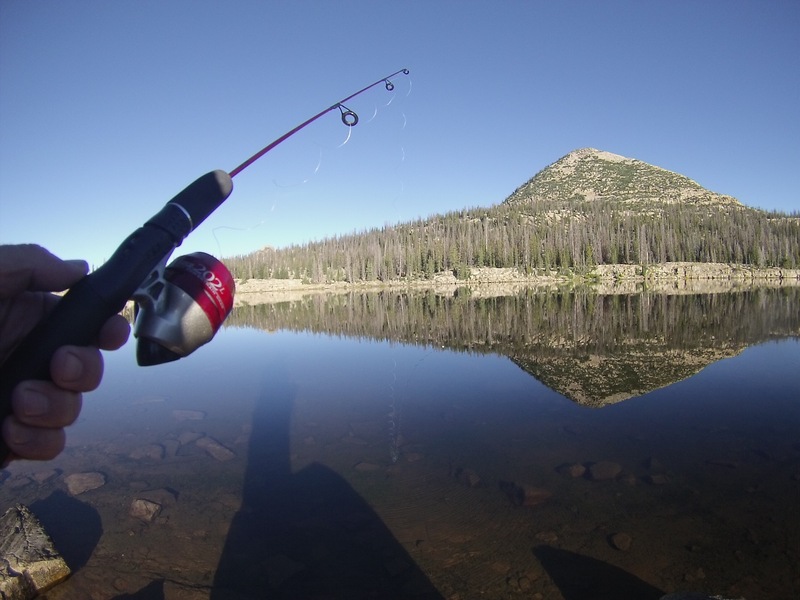 As the boys started to stumble out of their tents, and those who’d opted to sleep under the stars crawled out from under their tarp, I put away my fishing gear and headed up the trail. I thought I knew about where I’d left it. The hike was pleasant. The weather would warm to the low 80’s later in the day, but the morning was still on the cool side. Despite, the calendar saying it was early September, the overnight temperatures had been close to freezing. As I hiked, I looked at the prints in the dusty trail. So far, all were pointed back the way I’d come. That meant no one had left our valley overnight. 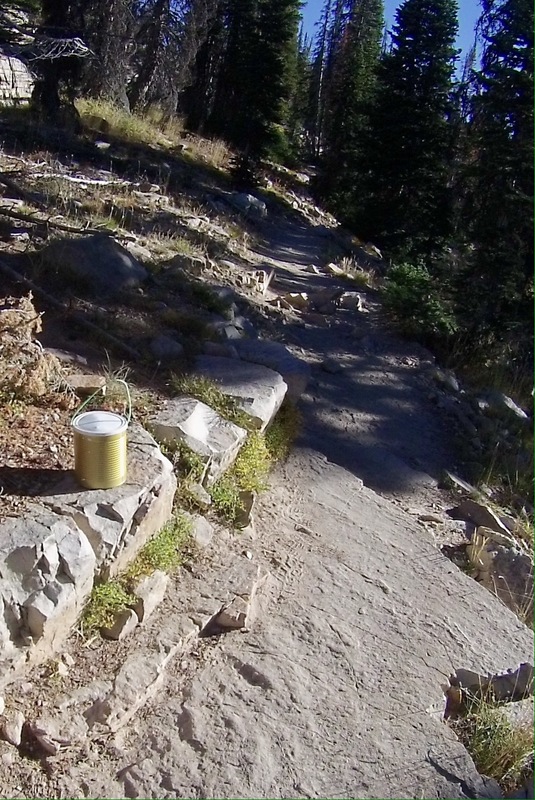 I was worried about my water filter wandering back toward the trailhead and finding a new home. As I rounded a bend in the trail, I met a pair of hikers who by the look of their packs were out for a day hike. Say, did you guys see a #10 can with a green rope handle on the side of the trail? Yeah, it’s just back up the trail a ways. Whew. That was a relief. First, that I was close. Second that it hadn’t disappeared. Five minutes later I met another pair of hikers. Did you see a can with a green handle? Yes, it’s just back around that bend in the trail there. And there it was. The can was there in the exact spot I’d left it. Inside was not only the water filter, but a stove I’d packed as well. It was a huge relief. I picked it up and turned back for camp. As I did, I considered what just happened. The hikers had noticed the can. Maybe they’d even opened it. But, they had put it back where it was and left it for the owner to return. When Readers Digest did their wallet-test, the “right” response was for people to return the wallet. In the wilderness there was really no one to return it to. The right response was to just leave the can where it was. I felt slightly guilty for my worry that someone would steal it. It’s not unusual for people to leave thousands of dollars worth of camping gear at their campsite while they go off and hike. The camping community, especially those who are willing to climb into the back countr,y is a pretty honest bunch. I’m guessing they would pass the wallet test nearly every time. Although they would pass it not by returning the wallet, but simply leaving it on the side of the trail for the owner to return. My favorite version of this story was one where researchers left money on the dashboard of a car. After the experiment, they confronted a homeless man who had taken the cash. I just want the money back. Sure, you do, I watched you take it off the dash. I moved it to your glove compartment. This is a bad neighborhood, you shouldn’t leave cash laying around. Pretty sure, he would have simply ignored my lost water filter too.